Caelia is a big, healthy and low maintenance girl. She has trouble free and unassisted births, is a good milker and a nuturing mom. She maintains lovely soft white fiber even though she has been a busy mom. 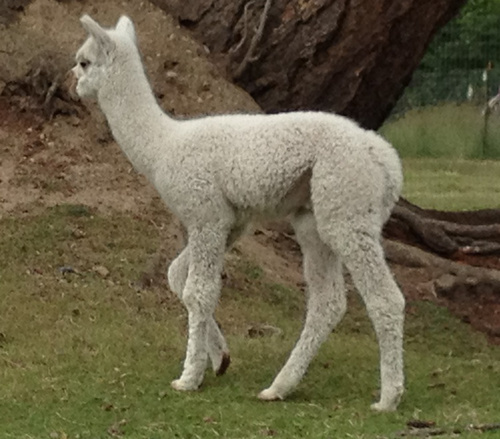 She has had white crias when bred to white herdsires, and has thrown color when bred to colored males. 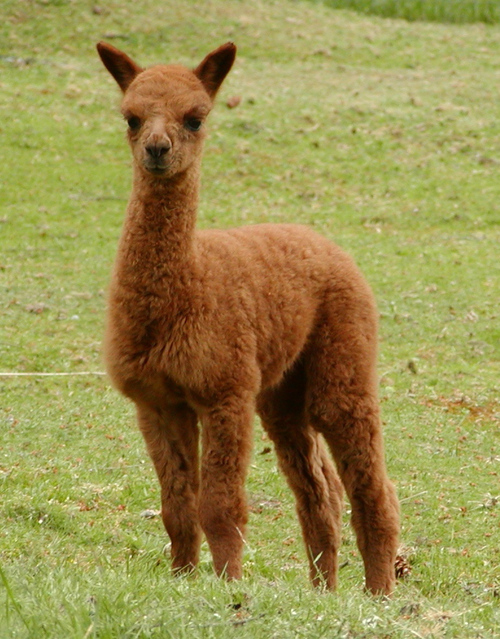 Caelia's most recent 'cria-tion' was delivered on July 13, 2012 - a pretty brown female sired by Robert the Bruce. Caelia's price includes a two breedings to any of our herdsires. Breedings can be used on Caelia or any other female in her new owners herd. Lily has given us 4 crias in a range of colors. 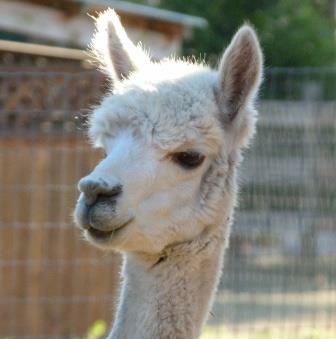 Sophie, is a lovely rose-gray girl and has become a foundation female in the Delphi Alpacas herd in Colorado. 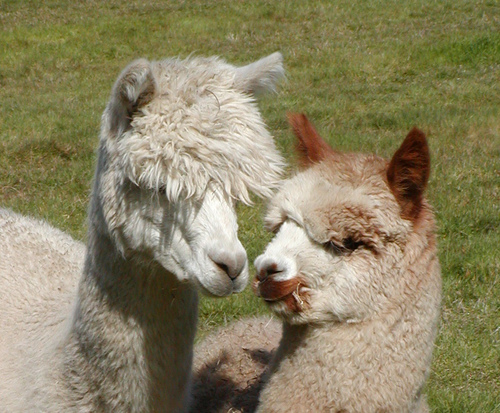 Lily's second cria is a medium brown male sired by Fuego del Norte, and her 3rd, also a male, is Forrest. Forrest is more than we hoped for! He is covered in curly white fleece that is fine, bright, dense, and oh-so-soft! He is strong with a solid frame, straight legs, and has Mom's easy-going disposition. 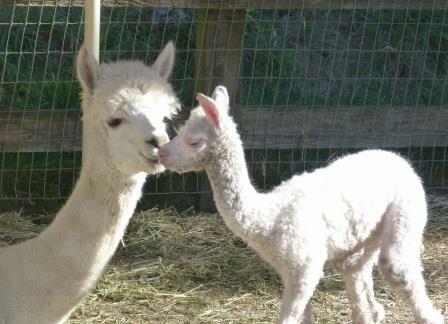 Lily's most recent cria is Destiny - sired by Accoyo America Triumph. 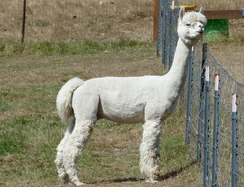 Destiny is a sweet girl with strong conformation, large size and beautiful and abundant fleece. We hope to keep Destiny in our foundation herd. 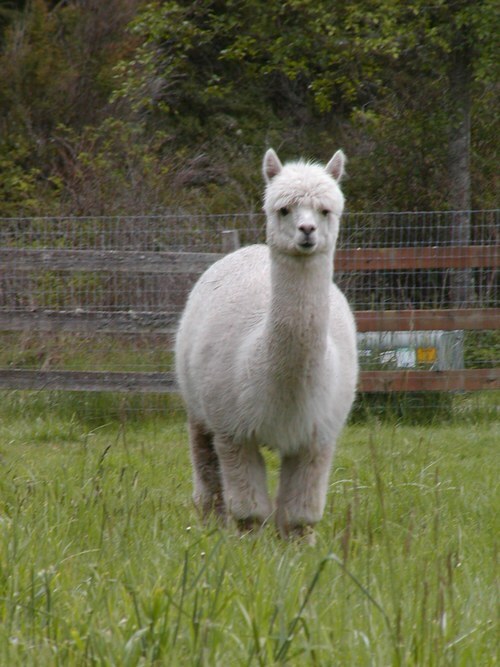 We were so pleased with Desitny, that Lily has been bred again to Accoyo America Triumph for a June 2019 cria.